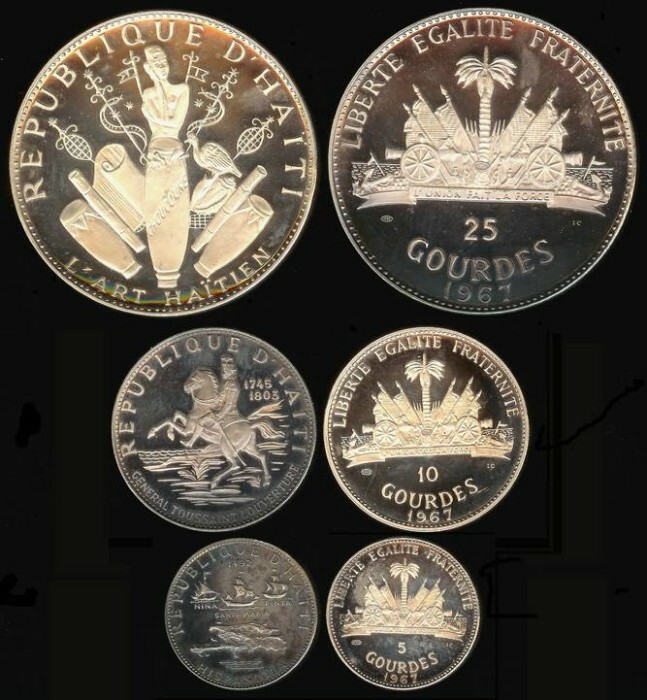 1967 Haiti Mint Issued Commemorative Silver Proof Set (KMPS2 = KM64.1, KM-65.1 & KM67.1). The issue was limited to the number of sets sold not to exceed 100,000. Less than 100,000 were sold and many were melted during the last silver melt. Getting very difficult to find. Atractive multi-colored toning throughout. Large, heavy silver coins (well over six ounces of silver)! A scarce Proof Set in original hard case.